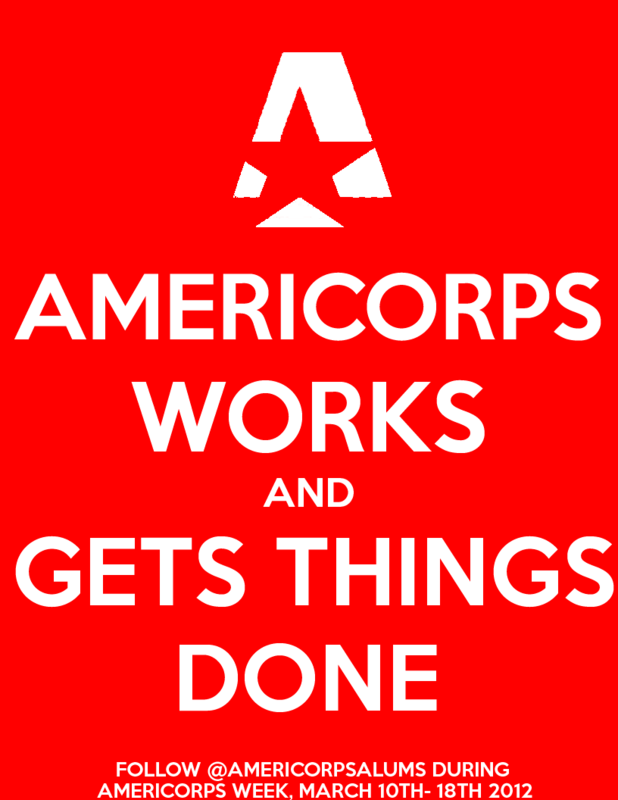 Show Us that “AmeriCorps Works Here”! Show the public where AmeriCorps Works! In celebration of AmeriCorps Week 2012, AmeriCorps Alums, the Points of Light’s national network for all AmeriCorps national service alumni, are telling the visual story of how AmeriCorps Alumni are still serving and getting things done in their community. “AmeriCorps Works Here!” is a photo series that showcase the places, companies, and workplaces of former AmeriCorps members, who credit National Service for getting them to where they are today. Without service, we would not be equipped with the talents and skills necessary to continue serving our country. It is easy to participate in “AmeriCorps Works Here!” Grab a camera and print out the attached sign. Next, get yourself pretty and stand next to your company’s logo. Take a picture and share it with us on our Alums Facebook page or Tweet with the hashtag: #AmeriCorpsWorksHere. As more pictures are uploaded, we will share them on our website, social media, and to key partners, who will help to continue funding and sharing our service stories to key lawmakers in DC. This AmeriCorps Week, let’s show the country that we are not a country beyond service and that volunteerism, whether paid with a stipend or performed after AmeriCorps, is just as important and essential to the growth of our country and its citizens. We started collecting photos and are looking forward to participating in this!